We believe people grow closer to Jesus best when they're part of a community. Because of this, we have a system of "small groups" (think of them kind of like book clubs or affinity groups). They typically meet at the church or someone's home every other week in order to talk about what following Jesus practically looks like. Our college and career aged group, led by Lydia Vanderkooy, gathers every other Tuesday night starting October 16, 2018. 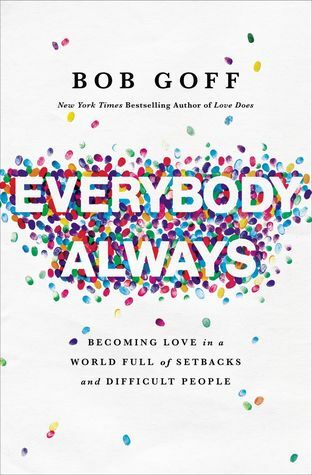 The group is going through the book Everybody, Always: Becoming Love in a World Full of Setbacks and Difficult People, by Bob Goff. During this time we get to hang out, read, discuss, and disconnect from our busy schedules for a short period of time. Contact Lydia to get introduced and find out the next meeting date. This small group led by Andy Bokma and meets every second Sunday evening, starting October 21st, at Connie and Andy’s home in Shubenacadie. Interested? Check out a complete description of the study at faith alive resources. Want to join us? Contact us to find out more. Want to connect with the Word along with a group of other men? This group meets for Bible study, sharing, and prayer time and is designed for any men seeking friends and good conversation. The group meets every other Saturday morning from 8:30 am – 10:00 am. Sound like something you'd like to check out? Contact us to find out more. FCC Youth Group meets every other Sunday night from 7:00 – 9:00 pm and is currently working through Youth Alpha. Check out the Youth Group Page for more information. Biweekly meetings beginning Wednesday, October 31 at 10am at the Church. We are continuing a study of Matthew. Picking up in Matthew chapter four: page 31, lesson two of the study guide. For those who do not yet have a booklet, photocopies will be available. All ladies are welcome. If you have any questions please talk to Betty or Connie.